The MessengerSays blog has been updated once again this week. Although it’s for US only, you might actually be interested in the announced contest for the game Jigsaw Too. Jigsaw Too is actually a rather cool game and prior to the full roll-out to more countries, I used to use my Australian Live ID just to play it. But — where’s feedback from all the publicity caused from their last entry? After the announced changes of the last Messenger mandatory upgrades, MSN Messenger 7 was quickly re-released with XP compatibility (in the installer). That particular incident was the first where it seemed the Messenger team had listened to their community, took an action based on that feedback and it all took less than a week. I was actually pretty impressed at the time since it wasn’t typical behavior. And yes, we don’t know all the issues and politics involved internally at Microsoft over this particular decision, but at least they could acknowledge that they heard us. A "good suggestion, thanks" at least? Furthermore, why wasn’t anything said about this week’s Live ID outage (which affected Messenger sign-ins)? I’m afraid MessengerSays seems more like Messenger PressPass. It generally seems more like personalized press releases rather than an actual blog. Come on Messenger team, step up the plate; we’re ready to play. The official Inside Windows Live Messenger blog hasn’t been updated in a number of months (feedback on the topics themselves could be another blog entry on their own), but we awoke to an interesting one today. They’re going to start upgrade notifications for 8.5 to both users of Windows Live Messenger 8.1 and 8.5 beta. This on its own is normal and expected as the upgrade notification is usually not given until 3 to 6 months after the release. The difference this time is the fine print. "A special note for those of you running Messenger 8.5 Beta on Windows XP 64-bit or Windows 2003 Server: the final version of Messenger 8.5 will not install or run on your OS. We don’t want you to get stuck out in the cold so you will not receive the mandatory upgrade to the final version. However, these operating systems won’t be supported by future Messenger versions. You may stay on your current beta version, or to get to a more stable final version we recommend that you uninstall Messenger 8.5 and go back to Messenger 8.1. " This is incorrect and a lie as Messenger is fine on these versions of Windows. It is well known that the only problem with these versions is with the new Live Installer and not the actual software itself. Many users have been using 8.5 betas and finals on all the abovementioned Windows versions since their release without any issue. Including yours truly. How did we install it? Some users either used another Windows version to extract the downloaded Live Installer MSI files or just downloaded it from me. In fact, my version has been downloaded a total of 3250 times. Note that the count may include users of the standard Windows versions too as the Live Installer regularly fails triumphantly and I use the MSI directly as a simple quick workaround to those problems. Let’s not forget that 8.1 was a terrible release from a connectivity standpoint (not limited to these "non-supported" operating systems either) and on the newsgroup I make a point to upgrade people when they’re having issues. It was not a good release from a user experience standpoint and I’m not quite sure why they would want to push anyone to that particular version. In the past, most of these Windows versions haven’t been "supported" (supported meaning the Microsoft definition which just means they don’t "officially" support it and if something goes bad they won’t help you) by Messenger but they installed anyway. A large majority of software that Microsoft ships is marked by supporting just Windows XP or Vista yet works just fine on Windows Server 2003, XP 64-bit and Windows Server 2008. Microsoft, your Server users know this, so why change this now? If you can’t fully test or support it on Windows Server that’s okay, but that’s no need to claim it’s unstable on your supposedly most reliable versions of Windows. Never mind that they’re claiming that future versions of Messenger won’t work either. 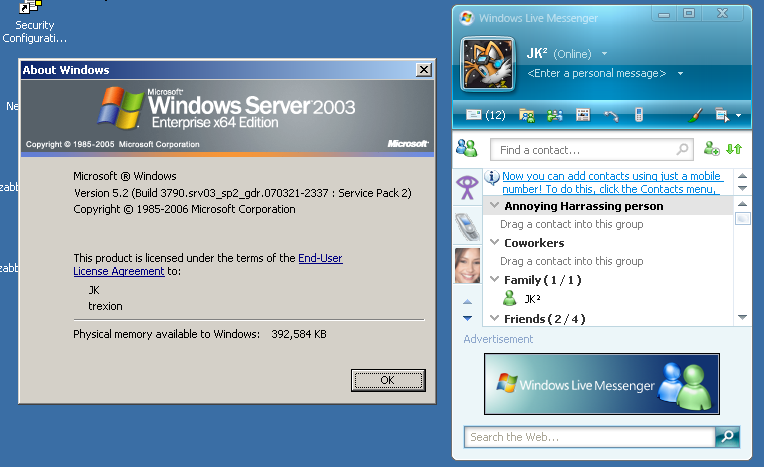 Does this mean that future versions of Messenger won’t work on Windows XP too? I petition Microsoft and the Messenger team to remove incorrect claims that Messenger 8.5 "does not run" and is "unstable" on Windows XP x64 and Windows Server versions, return the actual MSI installation file to the Microsoft Download Center and at least consider allowing feature versions to work on aforementioned operating systems. So, you had issues with Messenger Plus! Live having optional adware? Wait till you see what other people have been up to! Are you ready to install Zango? Great, just what I always wanted. I think I’ll pass and click No. Click OK and you get access to that page. But guess what, it’s back when you go to the next page, and the next, and the next. It’s one thing to support your web site, but all Vistastyles does is paste links to other people’s work on deviantart. Is Adsense not sufficient for this? Why should anyone get adware money for someone else’s hard work? Say what you will about Messenger Plus! Live’s optional adware, but at least the monies earned go to the author who slaved away to create the software. I’m certainly not going to have any qualms about writing a quick regex to scrape the site and provide it zango-free to my RSS reader. UPDATE: After a quick view>source, all you have to do is set prompt.zangocash.com in your hosts file to redirect to nowhere-land (like 127.0.0.1) and you don’t see this nonsense anymore. For those who aren’t familiar with Zango, you may know them by their former names, 180solutions or Hotbar and their long legal history. 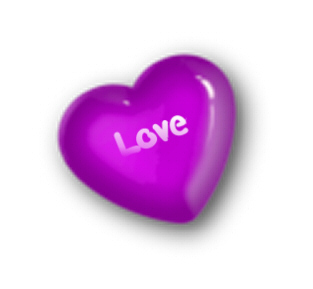 For the 8th year running, you can send candyhearts from my personal website at http://candyhearts.jonathankay.com. I admit I was intending on adding a few more features this year, but sadly I ran out of time before being able to make them a reality. However, the site still got a new modern classy overhaul and you can now send the same candyheart to a maximum of 6 people at once. And here is a progression of the hearts themselves (my apologies for the layout). Again, starting with the oldest, ending with the newest.